This study examined the interplay between genetic, prenatal, and postnatal environmental influences on early pathways to conduct, anxiety, and depressive behaviors by interviewing parents about child behavior and symptoms between ages 6 and 8 years. The Early Growth and Development Study – NIMH was a longitudinal prospective study involving 561 sets of children and adoptive parents from EGDS-Phase I and Phase II. The 361 children from Phase I were seen at age 8 years, and the 200 children from Phase II were seen at age 6 years. This study examined the interplay between genetic, prenatal, and postnatal environmental influences on early pathways to conduct, anxiety, and depressive behaviors by interviewing parents about child behavior and symptoms between ages 6 and 8 years. We also interviewed adoptive parents about their own mental health. EGDS-NIMH involved a combination of phone and in-person interviews. One parent was interviewed in the home, with the child present, and completed a phone interview. The other parent completed a phone interview. School and teacher data were collected for each child. The data collected in this project provided a unique opportunity to examine how nature and nurture influence child adjustment through age 8 years. Dr. Leve’s research is focused on the translation of basic research to inform preventive interventions. She leads research grants from NIDA, NIMH, and NICHD that focus on developmental pathways and intervention outcomes for at-risk youth and families. This includes preventive intervention studies with youth in foster care and with adolescents in the juvenile justice system aimed at preventing risk behaviors and improving public health outcomes, as well as adoption studies that examine the interplay between biological (genetic, hormonal), psychological, and social influences on development. Her published work in the area of gene-environment interplay emphasizes the translation of basic research findings to help refine the selection of malleable environmental targets in the context of prevention and intervention studies. She is also interested in issues specific to adjustment and outcomes for girls and women. 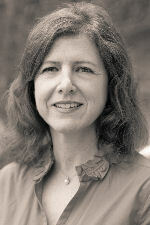 Dr. Leve is a Professor of Counseling Psychology and Human Services in the College of Education and a Research Scientist at the Prevention Science Institute at the University of Oregon. She is the recipient of the 2011 Society for Prevention Research Prevention Science Award and is a member of the Society for Prevention Research Board of Directors. She obtained her Ph.D. from the University of Oregon in 1995.